If your business IT systems are not making life easier, it’s time to call us. 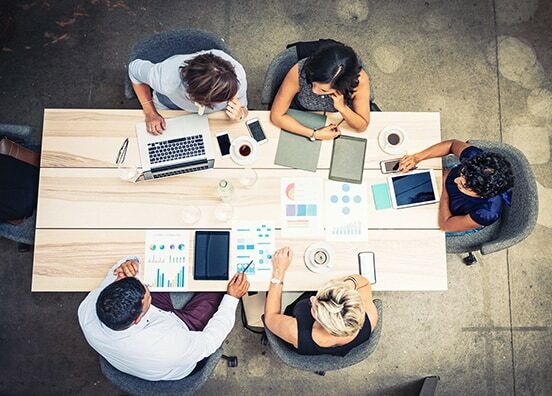 Your business technology is an indispensable resource, but if it’s not running properly, mismanaged, or vulnerable to cyberattacks, it will do more harm than good. For over 15 years, I.N.C. has helped clients understand their technology better and empowered them to leverage it more effectively so they can reach their business goals. We achieve this by taking the time to really get to know our clients’ business and making the right recommendations, even if they don’t involve our products or services. Our veteran technicians are completely dedicated to your business’s success. I.N.C.provides valuable technology services, and does so in plain language that anyone could understand. Get ultimate peace of mind and unprecedented productivity as our experts continuously manage your business IT and monitor it for any problems that might arise. Get expert guidance and planning assistance for tech investments to upgrade your business and maximize returns. Get dependable security for your network to stop viruses, ransomware, and other cyberattacks from crippling your business beyond recovery. Get a modern, internet-powered phone system that’s affordable to help lower operating costs, and feature-rich to elevate your communications. 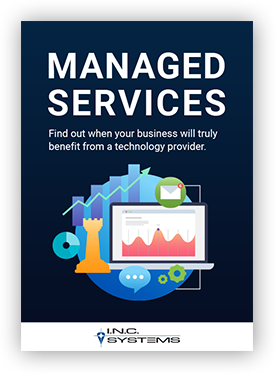 Would your business benefit from Managed Services? We believe every business can achieve more with help from a Managed Services Provider (MSP), but you’ll need information to make your own decision. That’s why we offer this free eBook; no strings attached, just click the link below for your FREE digital copy. We ask questions to understand your unique business needs and give you a chance to get to know us. A technician will make an on-site visit to review all IT hardware, overall security, and logical structure of your network. Our team will collect and review all relevant information, then present to you a comprehensive plan for the future. Once we get your approval, the team will implement the agreed upon solutions and measure the results.